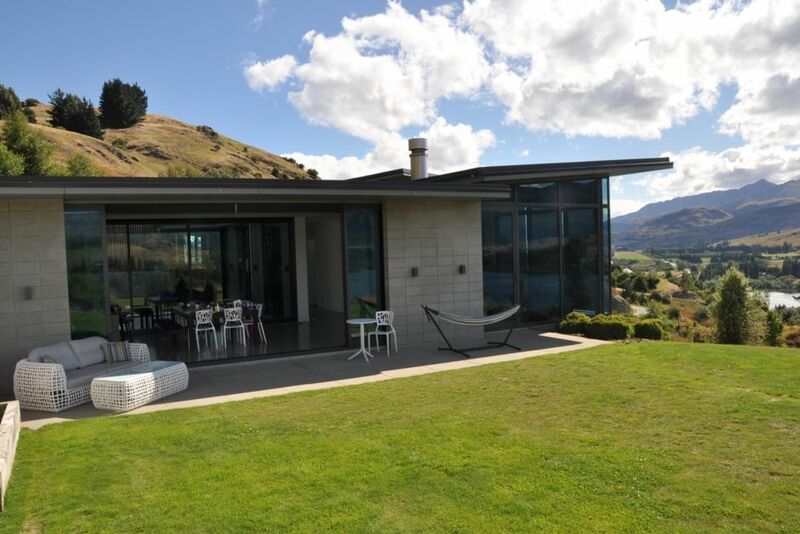 This modern house overlooks Lake Hayes and the Wakatipu Basin up towards Coronet Peak. The property sits behind Stoneridge Estate, a short walk away from Amisfield Winery and a short drive to Arrowtown and the Gibbston Valley wineries. There is plenty of space for up to 8 guests with four bedrooms and 2 living areas. With a number of golf courses, wineries and activities nearby, there is plenty to do in the area. Coronet Peak is just 15 minutes away. Sit back, relax and enjoy a glass of wine by the indoor or outdoor fire areas. Lovely responsive guests who cared for our home. Welcome back anytime! Nice comfortable new property. Outstanding views. Definitely recommend. Good location. Our house was well looked after and left clean and tidy. Very easy to deal with. Welcome back anytime! We had a wedding at the Stoneridge Estate and it was a perfect location to stay as it was just a few minutes away from the venue. We all loved the place, beautiful view, clean and was very comfortable. Will definitely stay again when we do go back to Queenstown. Beautiful home. Well appointed with lovely views. We thoroughly enjoyed our stay. Amazing House with stunning views. Amazing House with stunning views. Shame we didn't have more time to spend here!